There are numerous published chaplaincy assessment models but no apparent professional consensus of best practice. Many chaplains use intuitive or subconscious approaches to assessment. Our profession and those we serve will benefit from our ability to carefully recognize and articulate the needs, hopes and resources of others. This presentation will make the case for chaplaincy assessment through the Common Standards for Professional Chaplains, APC Standards of Practice and logic. Next it will review several chaplaincy assessment models, including Fitchett's guidelines for evaluating models of spiritual assessment, Fitchett's 7x7 model and Lucas' Discipline. It will outline various assessment formats, ranging from flexible conversation to rigidly structured questionnaires and then discuss Peery's semi-structured model. There will be time at the end of the presentation for Q&A about personal practice. Chaplains interested in improving their knowledge and practice of assessment. 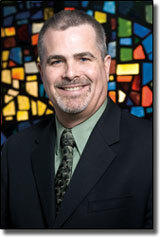 Brent Peery DMin BCC is the director of Chaplaincy Services at Memorial Hermann Texas Medical Center, Houston, TX. Prior to that, he was manager of Chaplaincy Services at Children's Memorial Hermann Hospital, in Houston. For the past three years, he has served as a consultant/subject matter expert for the United States Navy Bureau of Medicine and Surgery in Washington DC. He is interested in writing, research and teaching about the work of professional chaplains in order to advance the important work we do. He served on the committee that authored Standards of Practice for Professional Chaplains in Acute Care Settings. He holds a master's degree in marriage and family counseling from Southwestern Baptist Theological Seminary, and a doctor of ministry degree in spiritual formation from Azusa Pacific University.